Take on the role of d'Artagnan in his quest to become a Musketeer. 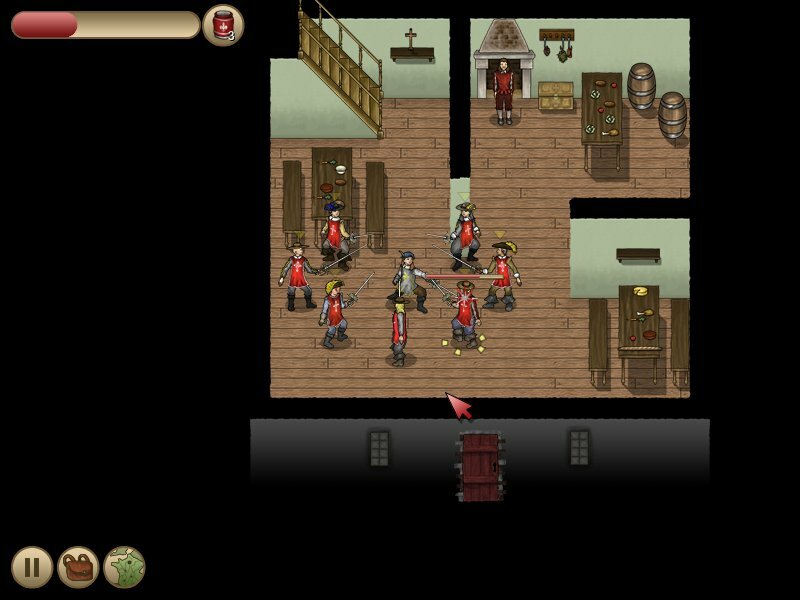 Gather loot, duel enemies, and fire flintlocks in this swashbuckling epic. Download the free demo now. When the evil Cardinal Richelieu launches a plot to disgrace the queen, you'll have to use your wits and skills with the sword to defend her honor. You'll journey from Paris to London and back to retrieve her 12 diamond studs in time for the royal ball. The cardinal has eyes and ears everywhere... He will not make this journey an easy one for you. Befriend the three musketeers: Athos, Aramis, and Pothos. Athos is the oldest and the noblest of the three. His background is shrowded in mystery - nobody knows his true name. Aramis is but temporarily a Musketeer. His true calling is that of the priesthood. The massive Porthos may not be as clever as is friends, but he has the strength of ten men. 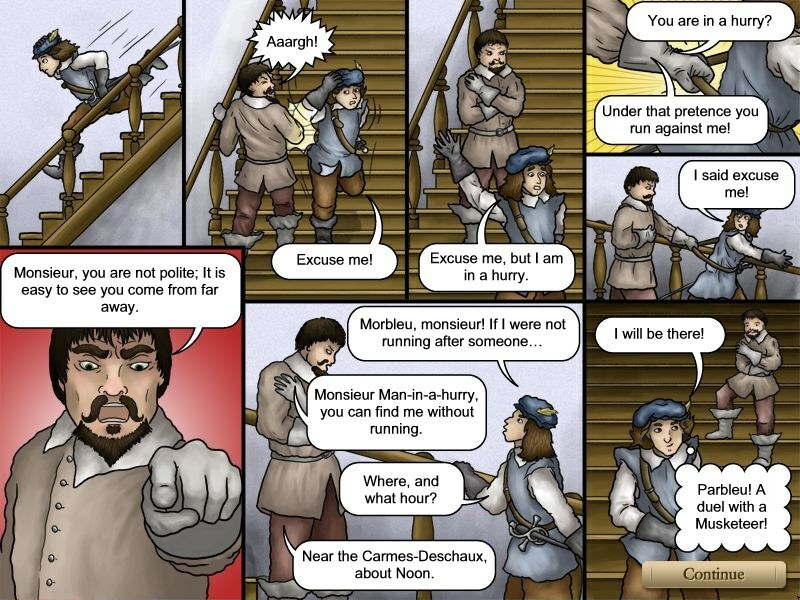 D'Artagnan isn't a Musketeer yet, but that doesn't stop him from living like one. 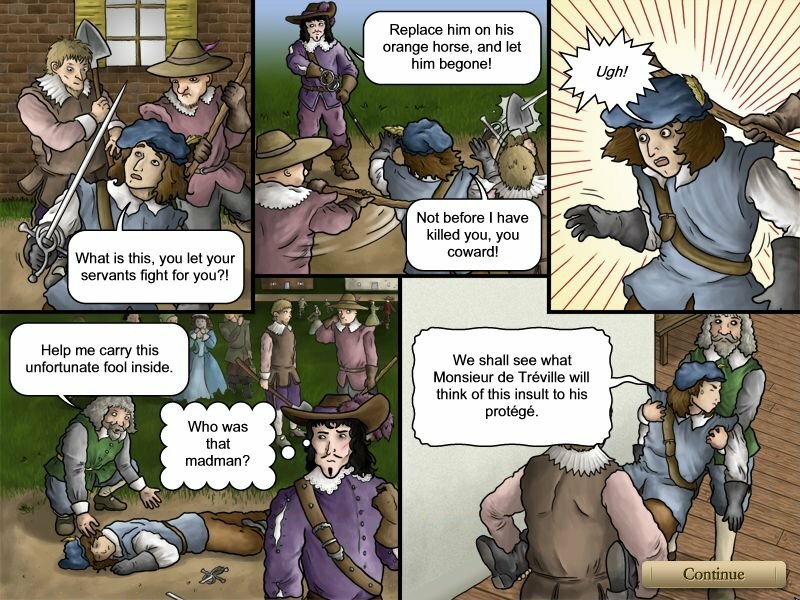 Musketeers love to gamble, so try your hand at a game of cards or a throw of the dice. Before long you'll be saving maidens in distress and avenging fallen comrades. 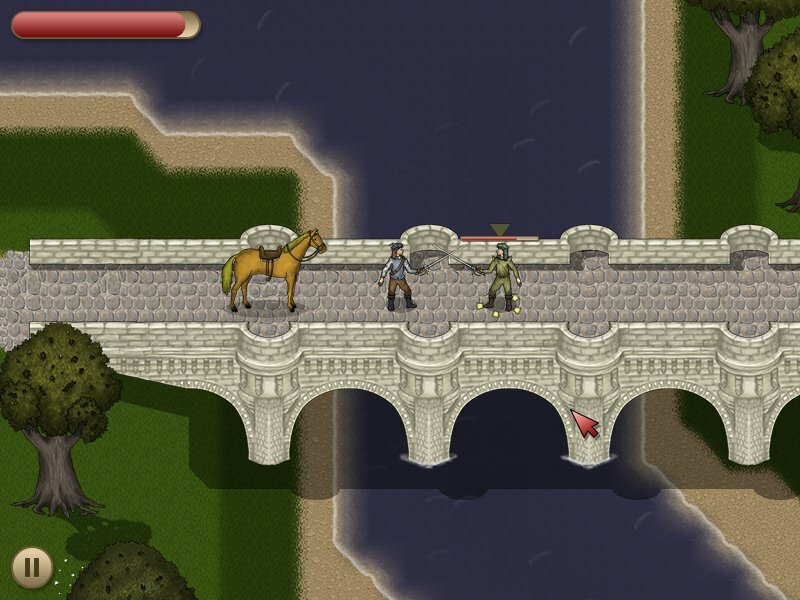 The world of 17th century France is yours to explore. 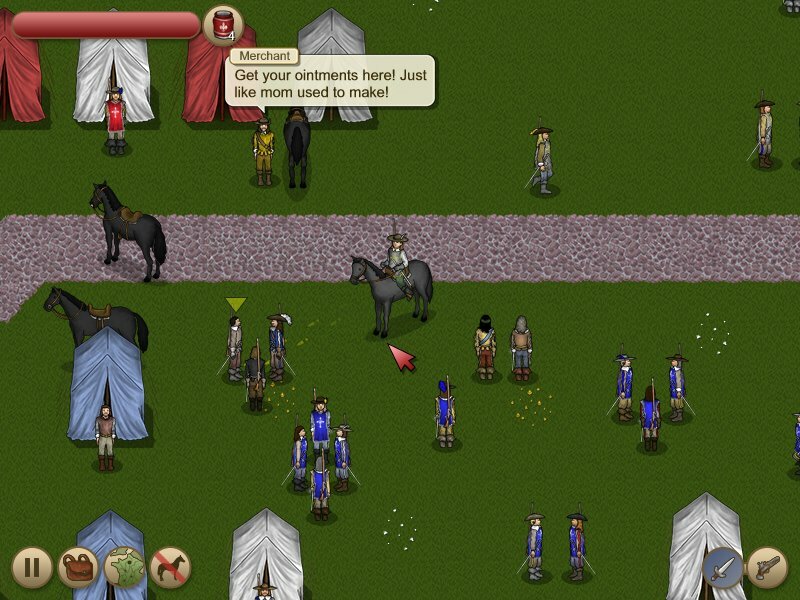 This role playing game is a faithful adaptation of the original Three Musketeers story. All the intrigue and adventure has been preserved. 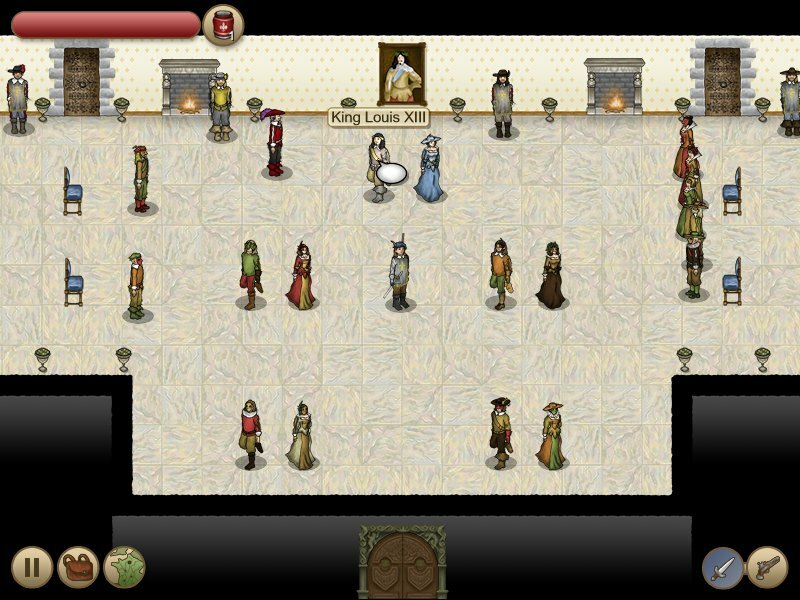 You'll battle the Cardinal's Guards, evade the villanous Milady de Winter, and attempt to save the beautiful Constance Bonacieux. All for one and one for all! 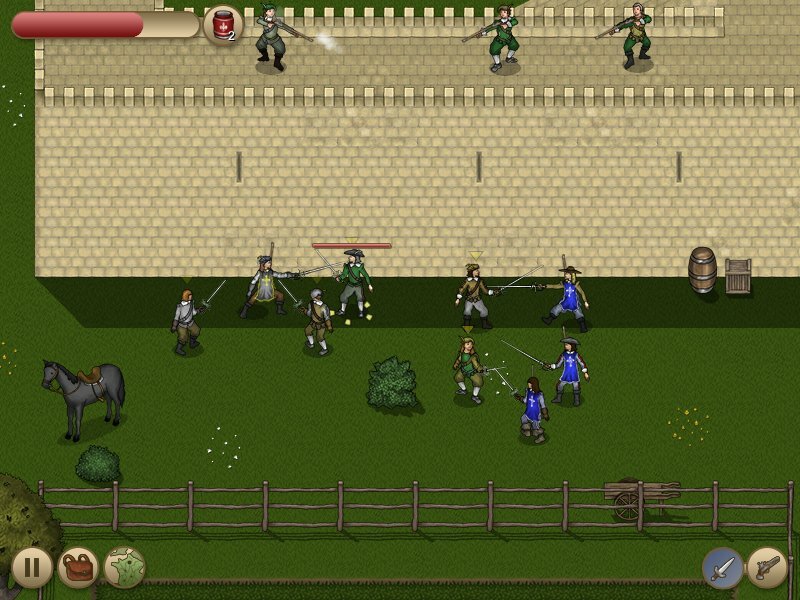 Download The Three Musketeers: The Game now.